A cold rainy night in Edmonton, Canada finds us looking around for something warm. Luckily, a highly recommended noodle shop in an up-and-coming neighborhood is blocks from our AirB&B. Prairie Noodle is steaming with heavenly sesame smells as we walk through the door. 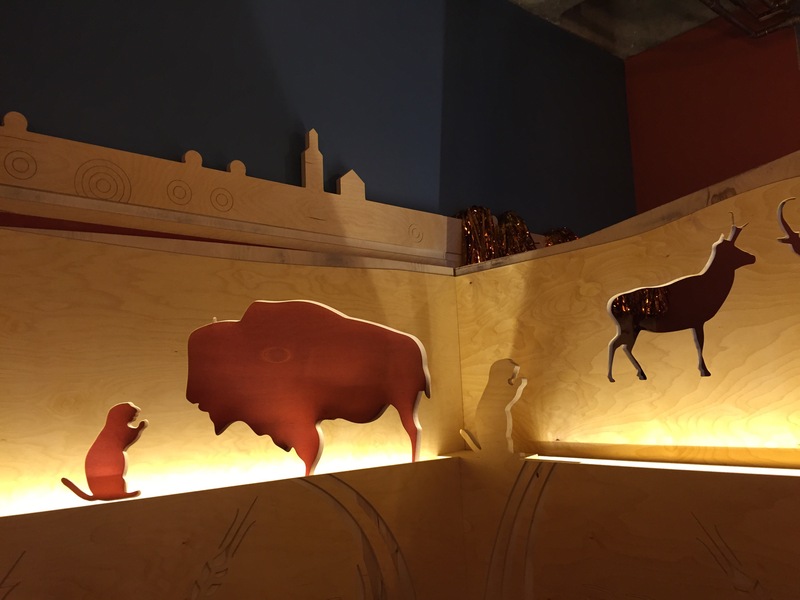 Cutouts of prairie dogs, deer, snakes, and other animals in plywood give glimpses of the noodle bar and tons of craft routes plywood, a fun play on rustic craft modern. 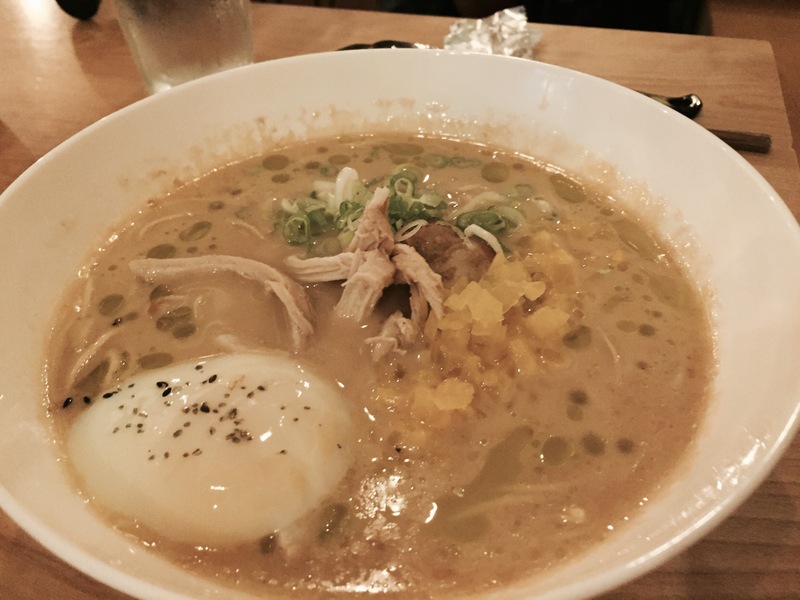 Then menu is focused on ramen, but using locally sourced ingredients. 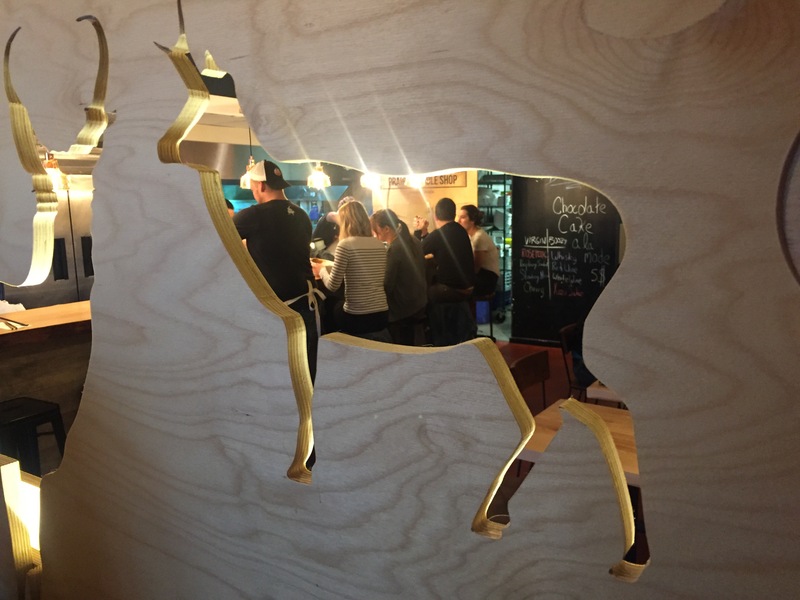 There’s bao made with local wild proteins – rabbit, venison, whatever the hunter found. 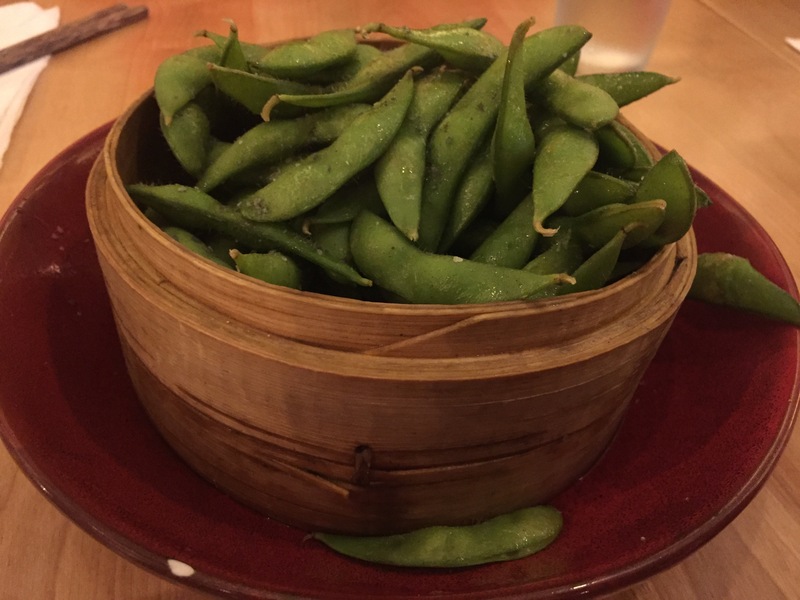 The hunter came back empty handed tonight so we started with edamame – smoked and steamed, then dressed with salt and Izumi bringing a nice freshness. 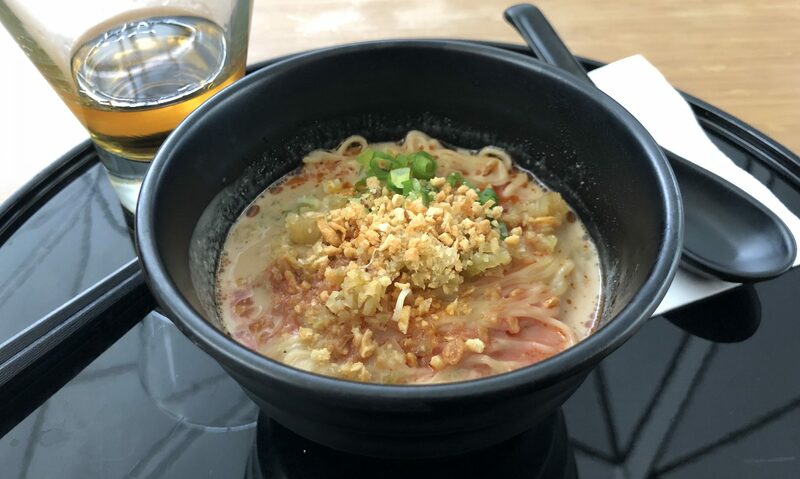 They have multiple ramens: a smoked pork miso broth, a chicken broth, a veggie broth with smoked Gouda, and a spicy garlic version of the smoked pork. Naturally I went straight for smokey, porky, garlicky goodness. The smell is overwhelmingly rich and smokey. There’s a deep smoked rasher of bacon (pork belly to these Canucks) and pulled smoked pork over thin ramen noodles. 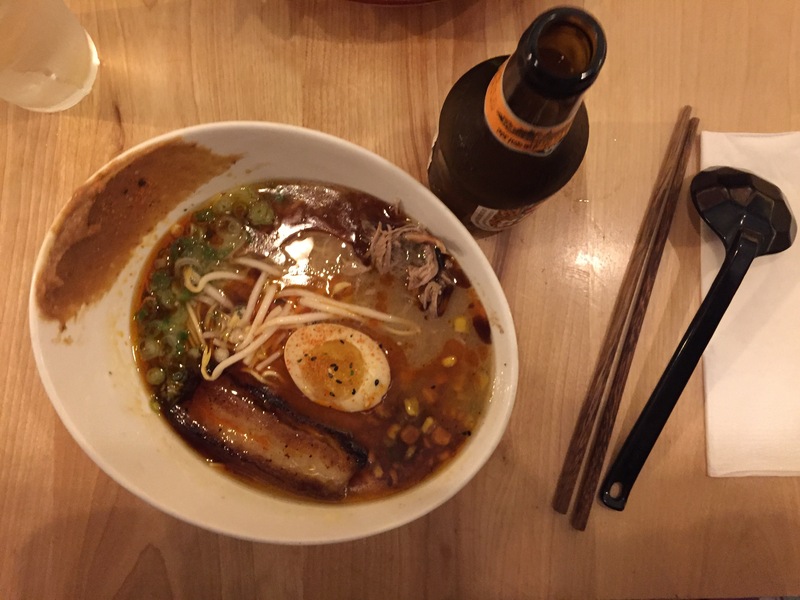 A generous amount of scallions, local corn, bean sprouts and a pickled tea egg top the spicy fatty broth. Mix in the smear of miso from the side of the bowl, and this is an intense richness of umami. The salty spicey broth, with the smokey pork, pungent scallions and garlic, and the sweetness from the sweet corn makes a killer combination in the mouth. The chicken broth is rich and creamy, and comes topped with not just chicken, but a poached egg – a nice twist on the usual tea egg. Now the twist, desert. For only $5 CAD you get a bit of chocolate cake a la mode. 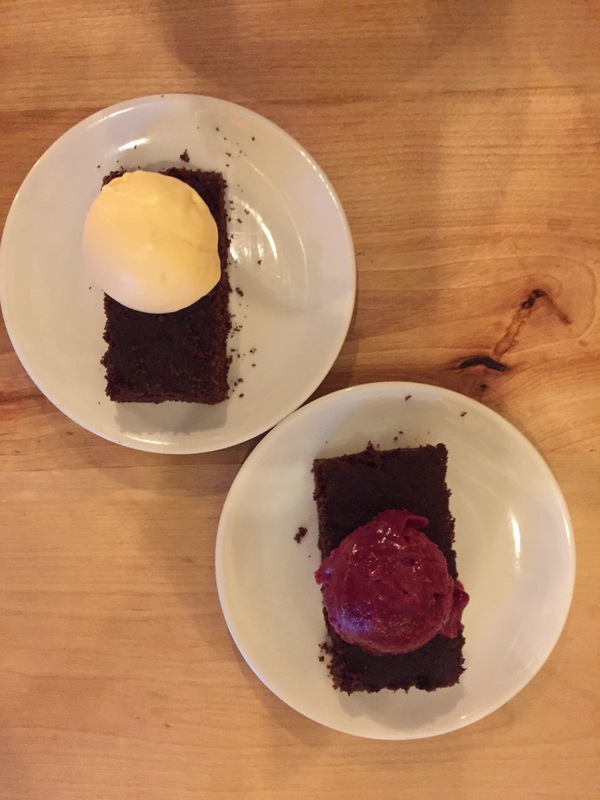 The ice creams are exotic house-made flavors like rose petal, or booze options like whiskey! The raspberry sorbet is a bit icey (pieces flying off the plate) but the flavor is intense with fresh ripe berries, and a sweetness that seems more boysenberry than raspberry. But the whiskey…. that steals the show. Not too much, so it’s not icey or overwhelming, but a hint of smokey peaty buttery flavor adds a nice almost savory richness to compliment the dryish cake. Apparently they pour in their good stuff: Suntory Harmony. This place knows their noodles and could easily hold their own in a competitive ramen market like LA.